Master of Education in the specialty “Pedagogy and Psychology”. 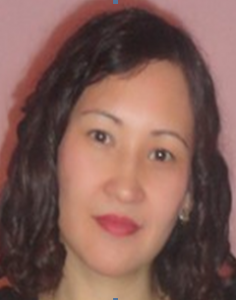 In 1995 she graduated from Karaganda State University named after E.A. Buketov specialty «Kazakh language and literature» with the qualification of a philologist, a teacher of the Kazakh language and literature. In 2012, she graduated from the magistracy of Karaganda State University named after E. Buketov with a degree in Pedagogy and Psychology. Since 2000 he has been working as a senior teacher in the department of the Kazakh language and culture. Conducts practical classes in the subjects «Kazakh language», «Professional Kazakh language.» He has more than 30 published works, incl. co-authored, 4 textbooks, 5 electronic textbooks 5 teaching instructions. Has thanks, the diploma of KSTU.